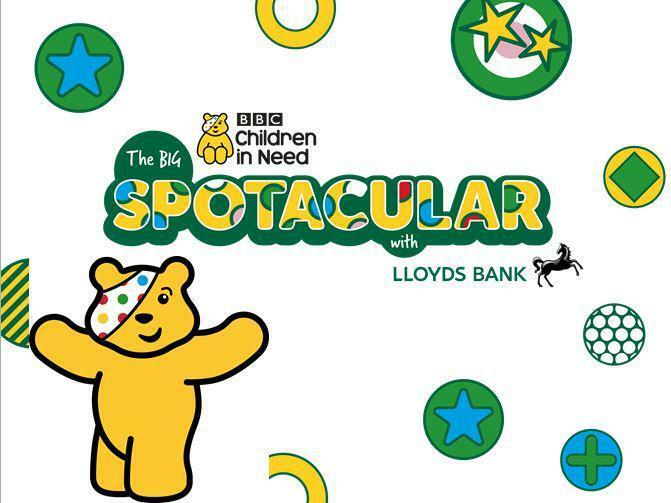 Children In Need 2017- Spotacular! 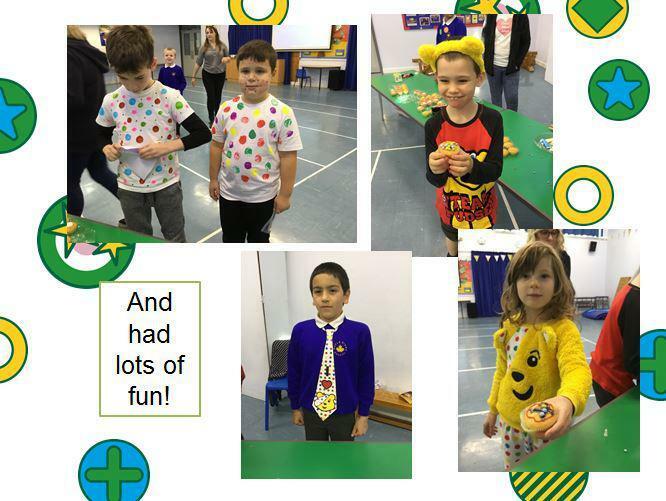 Please take a look below at some of the pictures from our Children in Need Spotacular event, the children dressed up, made biscuits & cakes, and played spotty games. We managed to raise a total of £158.13! 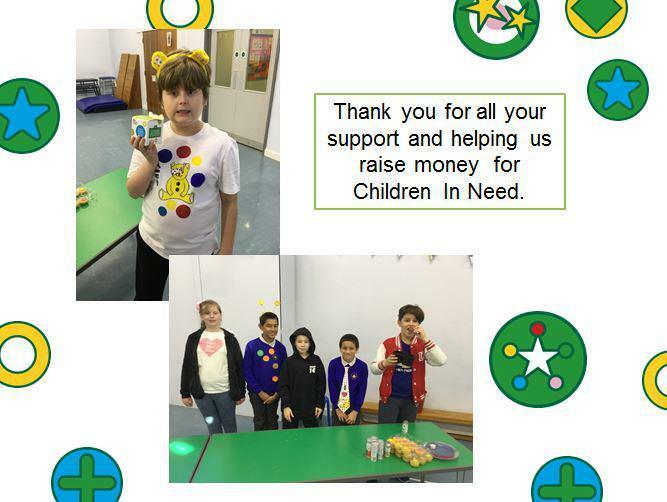 Thank you to all of the children, parents and staff who helped support the fundraising event. 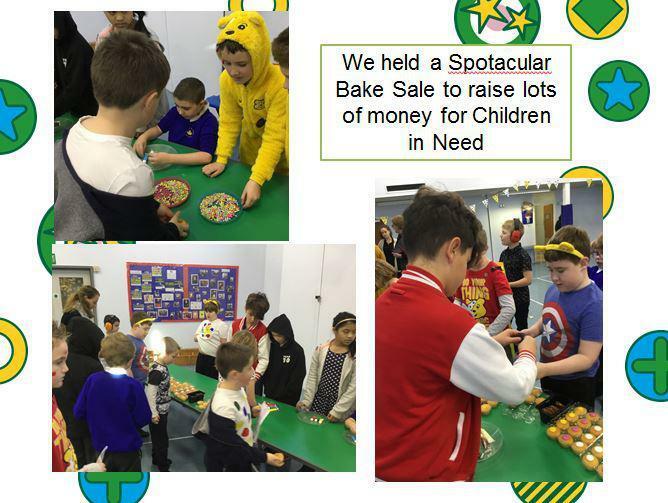 Today is the appeal day for the BBC's Children in Need campaign and our children have been getting stuck in with all the 'spotacular' events going on at school today. 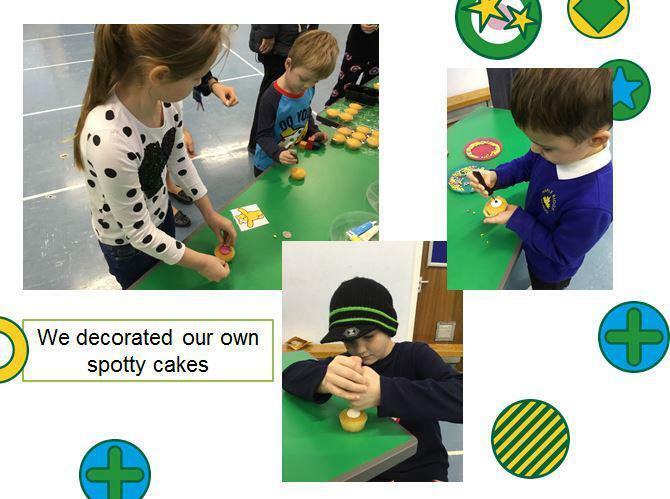 They've played spotty games, dressed in spotty clothes, and eaten spotty cakes! 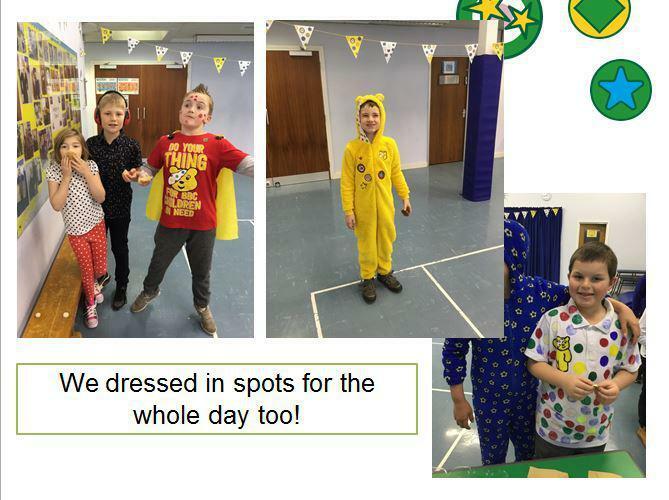 We have had a great turn out of all things spotty, so thank you to all of our children's families for taking the time to make their outfits and send in your donations. As always everyone has been very generous and we hope to update you soon with a total of how much we have raised for Children in Need. We have now counted the contributions from children and their families, and we have managed to raise a total of £190.00! Thank you to everyone who donated, it really will go to a fantastic cause. Prokick 2016- We raised £872.90! As you will know we had our annual charity event with 'Prokick', where all the children had a chance to show off their best kicking skills, and see how fast they could kick the ball into the goal. All the children had great fun, and everyone was given a certificate for their best kick. Thank you to all the children and their families, who contributed, and made donations towards a fantastic cause. We were overwhelmed with the response, and as a result this year we received our highest total to date of £872.90! Thanks to the support of all staff in school we have managed to raise £92 for Macmillan Cancer Support! Staff have been raising money for Macmillan Cancer Support by baking their finest cakes for the world's biggest coffee morning. Everyone has been fantastic, giving their donations for a great cause and sharing their delicious cakes this week. Macmillan do an amazing job at giving specialist support to people all over the UK who have been diagnosed with cancer. The nurses support the families and are there for them in the most difficult of times. It is wonderful that we are able to contribute, and also eat lots of tasty cakes in the process. Take a look at all of our lovely cakes baked by our staff, and we will update you shortly with the amount we have raised! On Friday 18th March children took part in running, jogging, walking, cycling or scooting 5 laps around our cycle track (which is roughly 1 mile). 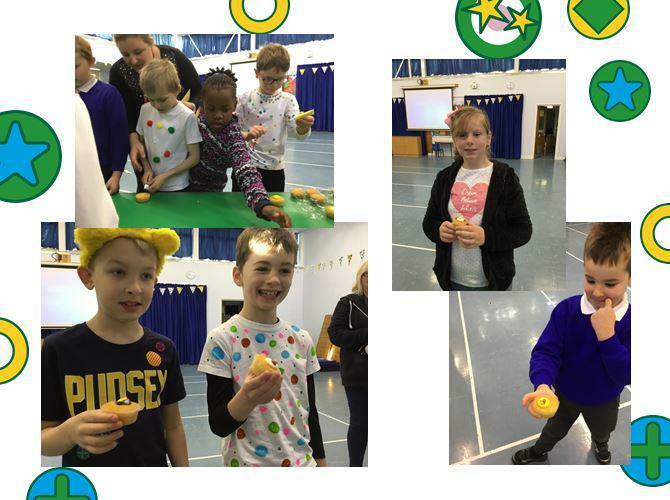 The children really enjoyed taking part in this activity and some even wore their sports wear to school ready for the event. We would just like to say a big thank you to all children and parents/carers who donated. We have raised a massive £110 for Sport Relief!! Today all the children and staff looked very festive for the last day of term by turning up to school in their favourite Christmas jumper! The idea of today was to not only get into the spirit of Christmas but to raise money for Text Santa, who will share the donations equally between Macmillan Cancer Support, Make-a-Wish UK and Save the Children. We would like to thank everyone who joined in and made a donation today, we raised a brilliant £57.34!! Thank you for your continued support and we hope you have a Merry Christmas!! 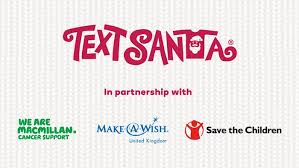 This year, on Friday 18th December, we are going to take part in Text Santa's Christmas Jumper day, to not only get in the Christmas spirit for the last day of term but most importantly raise some money for Text Santa so they can help Macmillan Cancer Support, Make-A-Wish UK and Save the Children and give hope to families in difficulty at Christmas. Pupils (and staff) will get to wear their silliest, sparkliest, cosiest Christmas jumpers and make a donation of £1 (or whatever they can give) to the charity. Parents, please don't feel you have to splash out on a new snazzy jumper to take part - just get your child to decorate an old or plain jumper with items such as tinsel, baubles or homemade snowflakes to create a unique crafty cracker! A letter will be sent home to parents with more information closer to the event. Please come back after the event to see photos of our jumpers and find out how much we have raised!